Indulge yourself with this florally feminine ring! 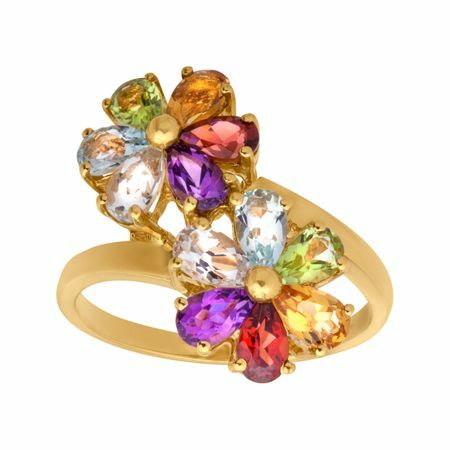 Petals of Swiss blue topaz, citrine, light amethyst, garnet, peridot and white topaz totaling 2 7/8 ct adorn a pair of 14K gold flowers on this sleek band. Ring face measures 15/16 by 3/8 inches.